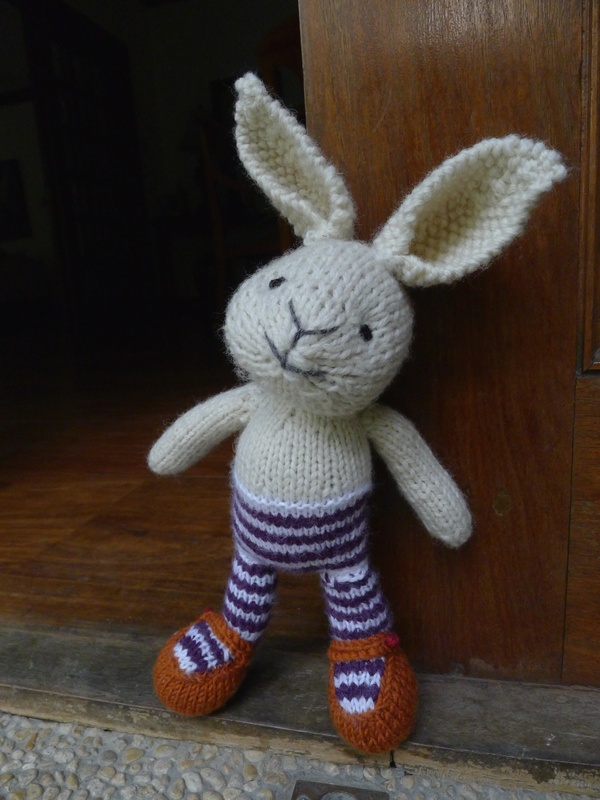 And Here It Is, The Cutest Thing I Ever Knit! It’s my bunny!! 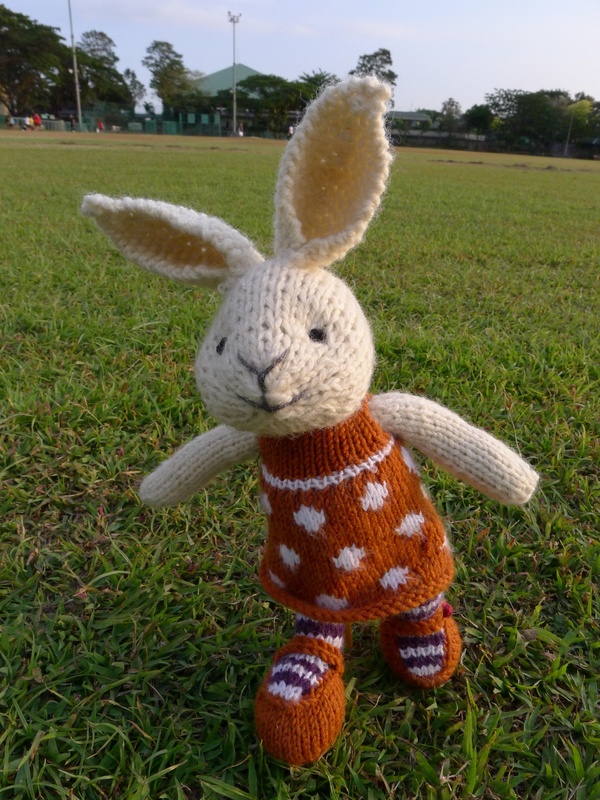 This is the follow up to my previous post where I wrote about all the things I put myself through to push my beginner knitter self into bunny knitting shape! 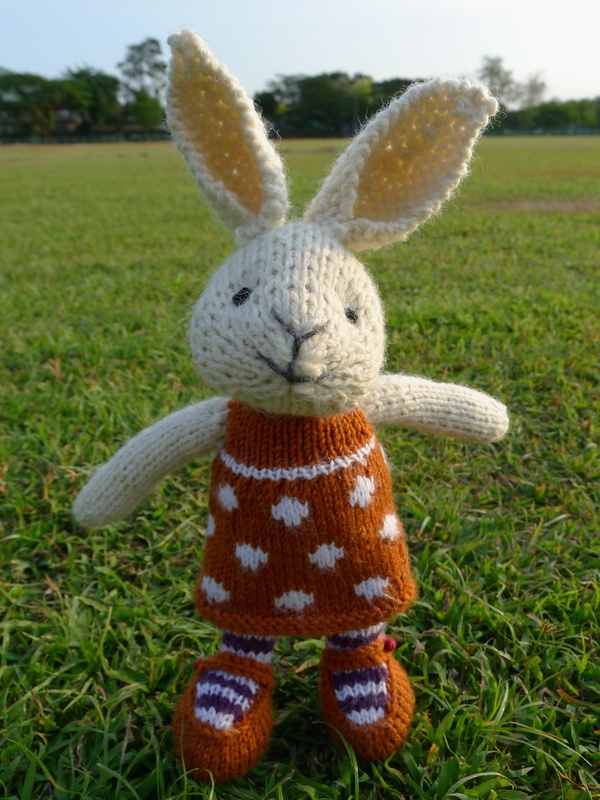 I took an online knitting class, knit two stuffed toys, bought a socks knitting book, and learned how to knit socks in preparation for knitting this bunny. Then I thought I was ready. Of course I wasn’t ready. Apparently, there are many, many knitting techniques out there. I had to learn a new way to cast on (what, there are more than two ways to cast on?) and Fair Isle knitting! For non-knitters, that’s the polka-dot part of the dress. Well, it’s done and I am quite pleased with myself! 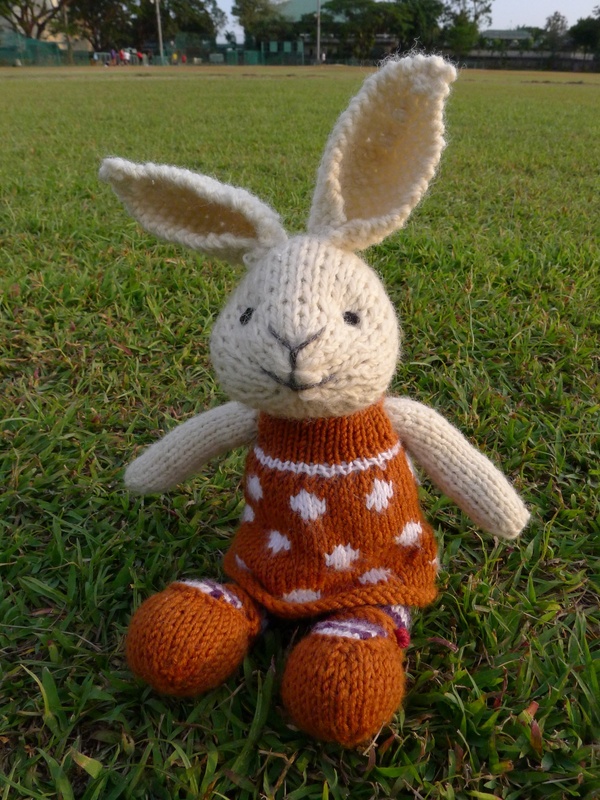 The pattern is called “Girl Rabbit in a Dotty Dress”. 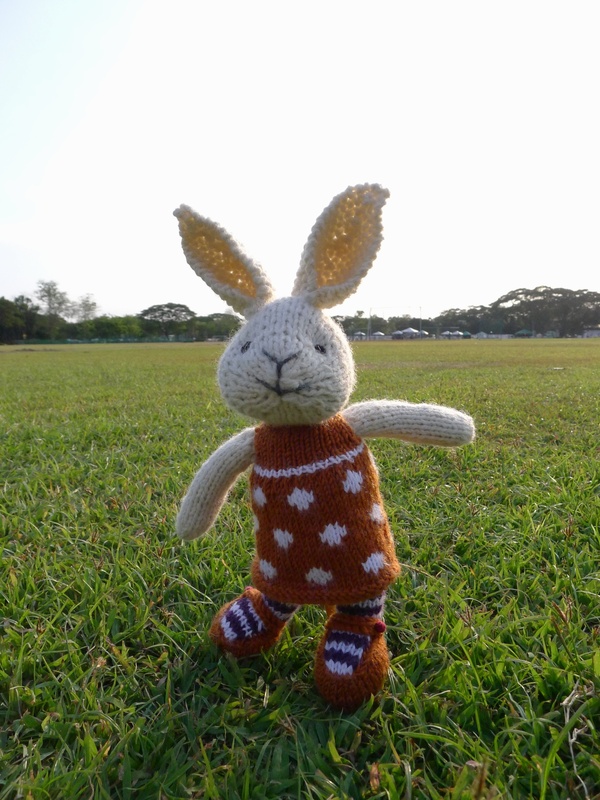 I was thinking of calling my bunny “Big Headed Bunny in a Space Invaders Dress”. But I won’t. She’s too cute. I hope to make more bunnies and have actual children play with them! 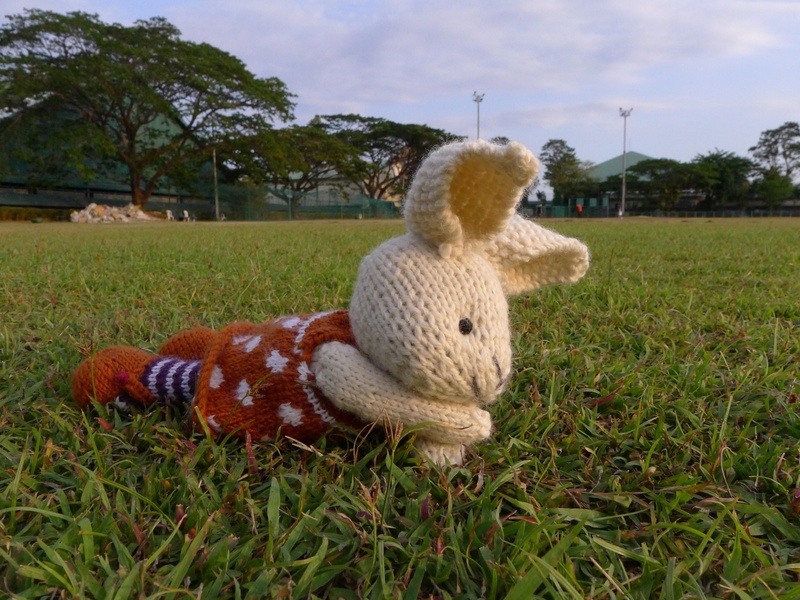 Nice day to frolic in the grass! Previous Previous post: Shortcut to Success!